The overall tone of the novel may be best described as “sleepy,” which is an interesting choice for an apocalyptic novel, but I suppose it meshes well with the characterization of Candace. Prior to the fever breaking out, she was whiling away her youth in an office job she had more or less fallen into and didn’t particularly enjoy, but endured for the stability it offered. Structurally, the novel bounces around a lot in time, which was somewhat disorienting at times. For the most part, it switches back and forth between Candace’s time working in her office and her later travels with a small band of remaining survivors. At one point, it switches without warning to give the backstory of her parents, detailing their coming to America from China and her mother’s struggle to adjust. I think that the cultural aspects of the novel were one of its major strengths. Candace’s status as an immigrant is important to the story in a lot of ways, and her experience as someone who came to America as a child contrasted sharply with that of her parents. China would always be home to them. Despite being born there, Candace felt less connection, and struggling to speak Mandarin on an adult level became a source of embarrassment for her. 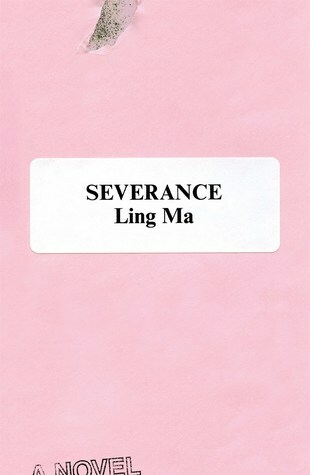 I always find stories of first generation immigrants interesting, particularly the exploration of what it’s like to be essentially sandwiched between to cultures, and I thought this was something Ling Ma handled very well. Overall, I enjoyed Severance, but found it somewhat lacking in terms of plot. The lack of structure in terms of timelines left things feeling somewhat disconnected, and it began to get very repetitive when it came to the point of drawing parallels between the drone-like qualities of both the fevered and healthy people in the story. Thank you for reading! What was the last book you read that dealt with an apocalyptic scenario? Let me know in the comments!